More cookbooks for sale in the Abbotsford library! Recently, some cookbooks were donated to the library and many of them could not be added to the Newman Western Canadian Cookbook Collection because they fall outside of the collection mandate. 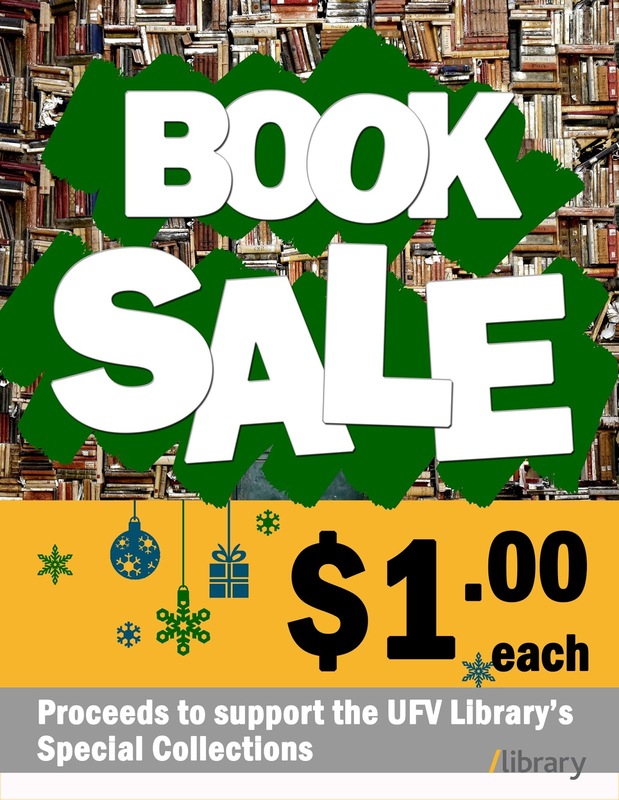 The books for sale are in good condition and are being sold for between .25 cents and $1/each. All proceeds will go towards building the Newman collection. This time, there are many cookbooks from Ontatio, New Brunswick and Nova Scotia available to purchase. UFV's Chilliwack and Abbotsford libraries, as well as our Askaway virtual reference service, will be closed on Monday, February 12, 2018 to mark Family Day. Please note that the library's catalogue (including ebooks) and databases remain available. Click here for complete library hours. With apologies for the inconvenience, Askaway, our virtual reference service, is closing at 7pm today due to systems maintenance. Askaway will reopen as usual tomorrow morning at 1oam.